My second favorite sea creatures next to the Sea Horse are the Starfish. Did you know that sea stars (commonly called starfish) are not fish? They don't have gills, scales or tails like fish do, and definitely don't move like fish do (although they do move, sometimes pretty quickly). There are also about 1,800 species of sea stars. Bet you did not know that some starfish have 40 arms? 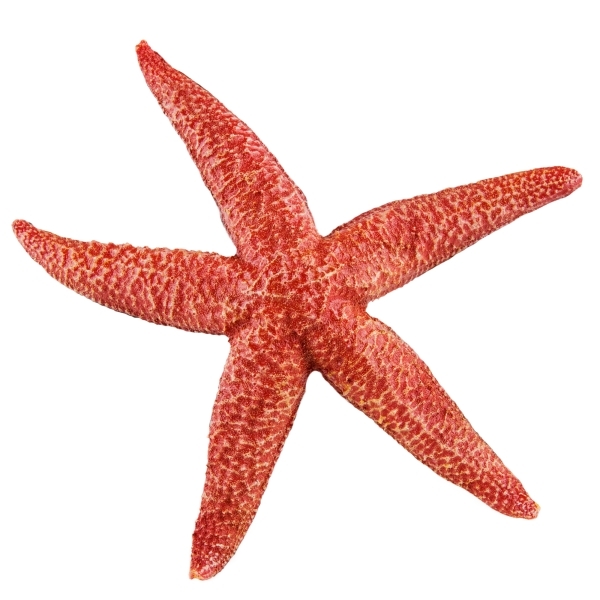 It may surprise you to learn that a starfish has an "eye" at the end of each arm. So a starfish with five arms also has five eyes! Starfish are also one of the most recognizable marine creatures. They are related to sea urchins, sand dollars and sea cucumbers. They come in a variety of shapes, sizes and colors.